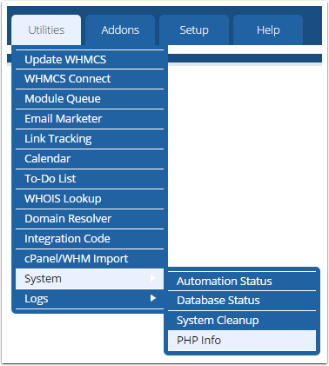 An error message along the lines of Allowed memory size of xxxxx bytes exhausted (tried to allocate xxxx bytes) means that WHMCS has reached maximum amount of memory available to PHP on your server. Scroll down until you find the memory_limit directive. You should increase this setting until the error is resolved - please refer to our system requirements to locate the recommended value. It may be necessary to contact your server admin/hosting provider for assistance making this PHP configuration change. Please take this opportunity to ensure all the other System Requirements are met.